TruckStore: New! Kid's Truck Themed Birthday Party Store! New! Kid's Truck Themed Birthday Party Store! great truck gifts for kids and perfect truck party supplies for Moms! where you can browse and shop in your own local language and currency. 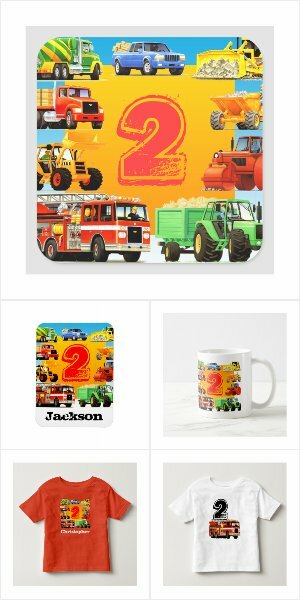 I wanted to make it easy to find all the matching and complimentary truck themed birthday party gifts, supplies and accessories that I have been designing for my TruckStore on Zazzle. 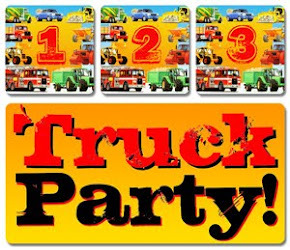 I have organised this new truck theme birthday store by age, so if you are looking to create a stylish and modern kid's 3rd birthday truck themed party, you will find everything from Big Truck 3rd Birthday Party Invitations to 3rd Birthday Party Stickers, Favor Bags and Totes, Truck T Shirts with a big number three, to 3rd Birthday Truck Greetings Cards and Big Truck Mugs. 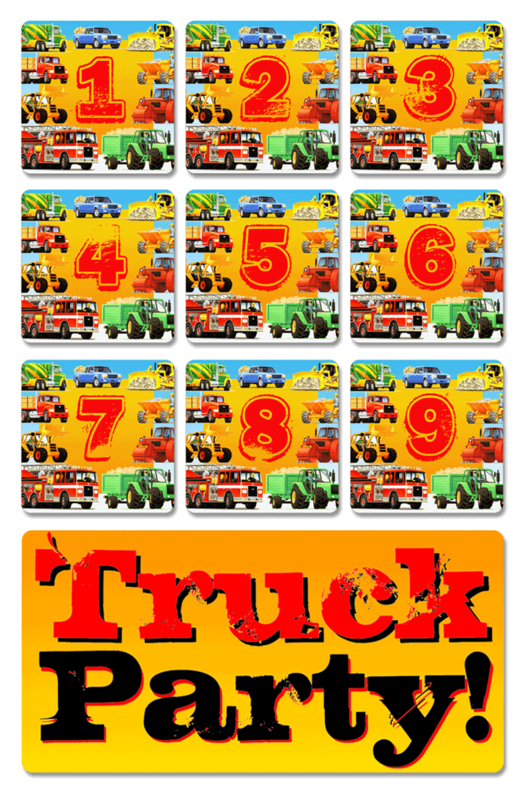 A truck theme for a 1st birthday or baby shower is fun. A truck themed 2nd birthday is great, as two year olds are really excited by trucks and big wheels of all kinds, particularly tractors and diggers. A Big Truck 3rd Birthday is just the ticket for a truck mad group of kids. At 4 yrs old, most truck-crazy kids know everything there is to know about trucks! Imagine inviting all your children's friends to a truck themed 5th birthday party! A 7 year old truck mad child would be delighted with the big truck invitations and announcements. At 8, our truck experts will be ready to weild a spanner or wrench! At 9 they are nearly ready to drive that monster truck or fire engine! As a small boy, I used to love to draw big trucks, so not much change there! 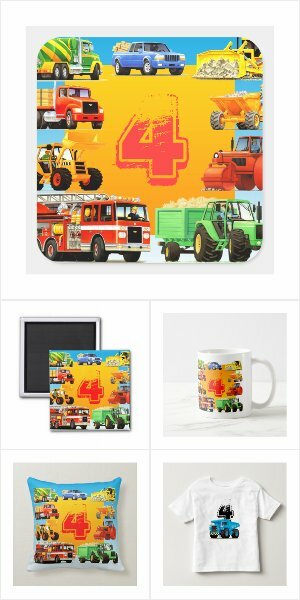 For this range of truck themed birthday party supplies and truck themed gifts, I have combined my favourite and bestselling painting of a big red firetruck, with a yellow digger, a builder's red truck, orange and blue dump trucks, one little, one as big as a Terex Titan! Add these to a blue pick up truck, a huge yellow bulldozer, a red road roller and a great green tractor and trailer. All these designs allow you to create your own bespoke, customized truck themed birthday party be it a boy's birthday or a girls.